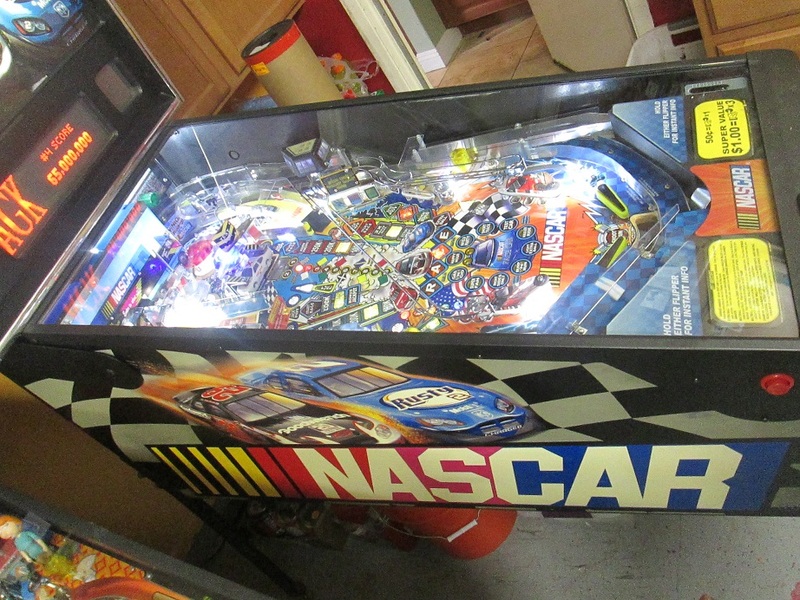 We’re saying goodbye to our NASCAR pinball machine. 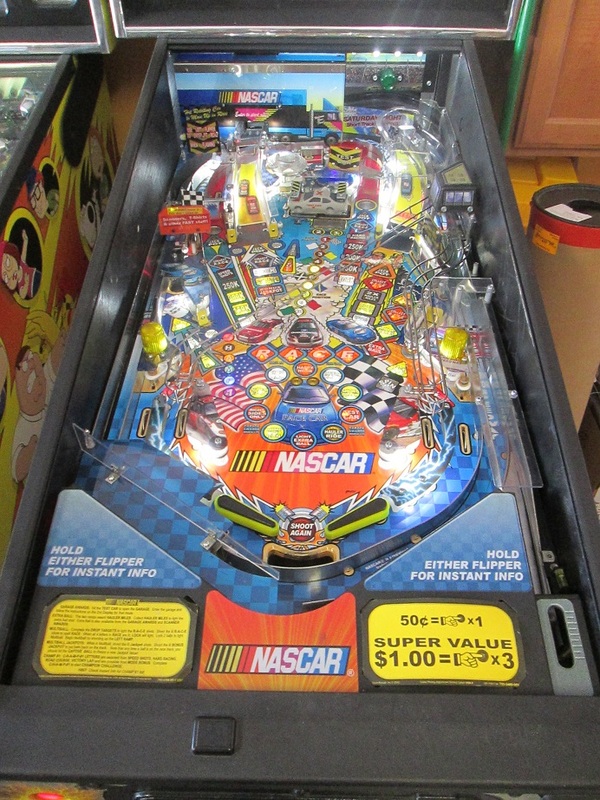 It’s a fun game, with some entertaining features. 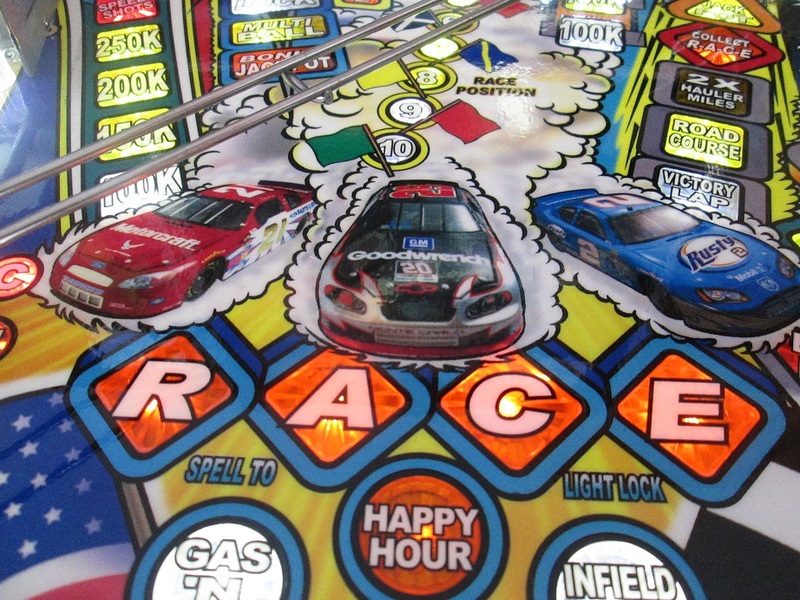 Fun for anyone to play, but especially great for the racing enthusiast. 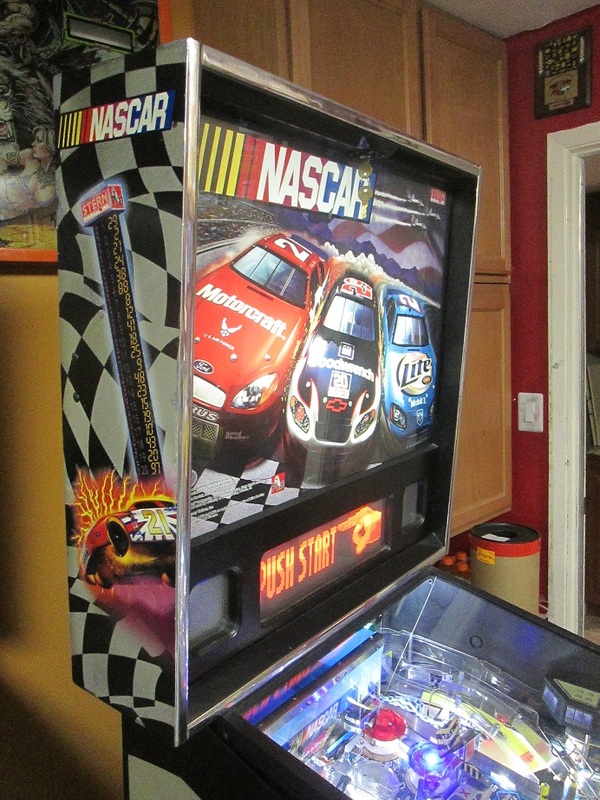 Stern came out with this machine in 2006. 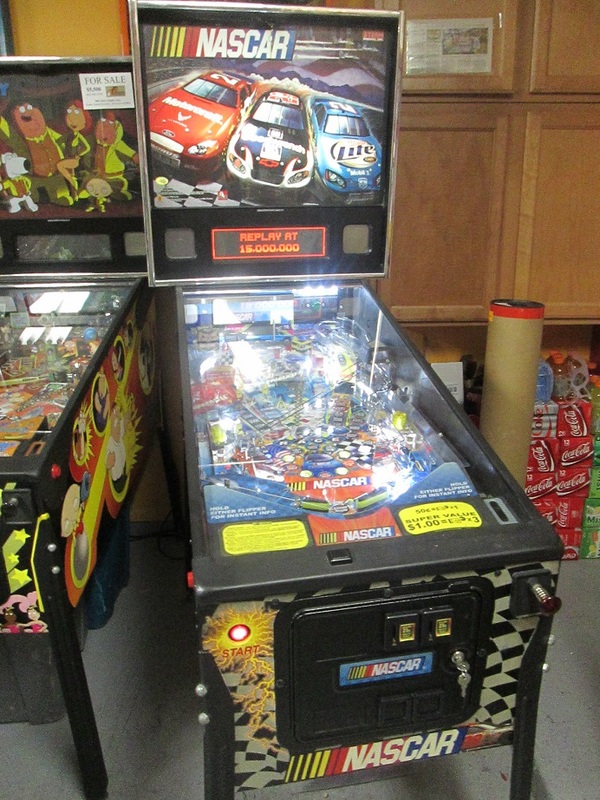 This machine works 100%, and the playfield, cabinet and backglass are all in very nice shape. 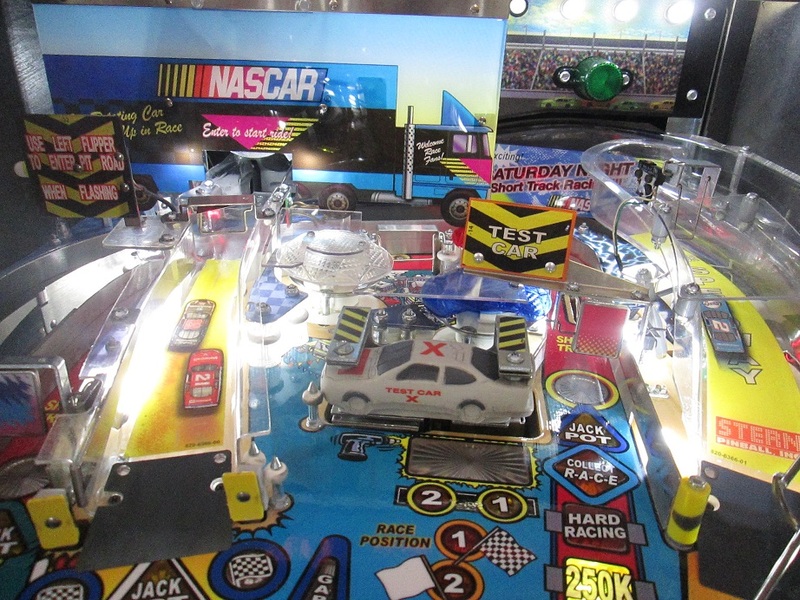 It’s been shopped with new rubber rings and balls. 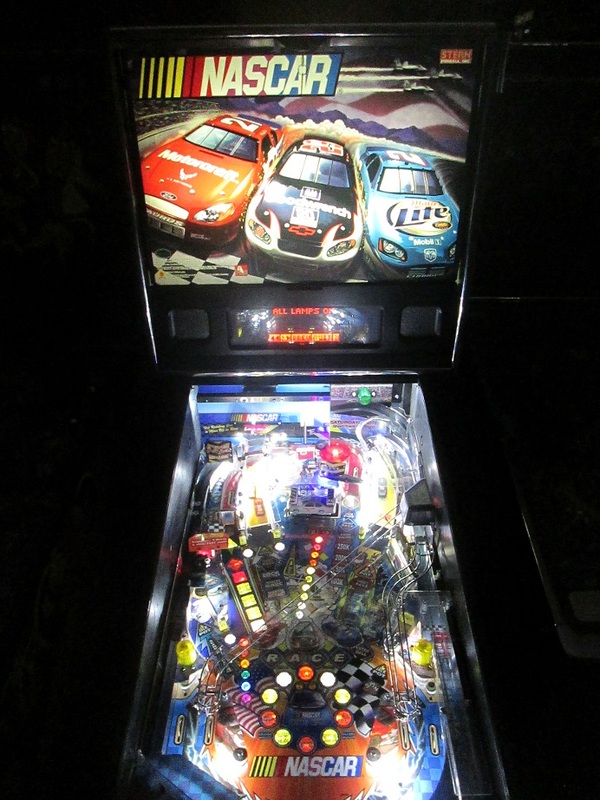 LEDs have been installed throughout this game, in the inserts, GI and flashbulbs.